Virus and malware threats are always there and no-one can fully protect themselves against them. We can help when your computer becomes infected. We have all the necessary software and skills to remove any infections from your machine and restore it back to it’s former glory.We have years of experience in virus removal. If your computer dispays a picture like above, don’t panic, it’s a hoax. It’s trying to entice you into paying money to remove itself!. Dont be conned into this, phone us immediatly and we can remove it and thousands of infections that are similar. 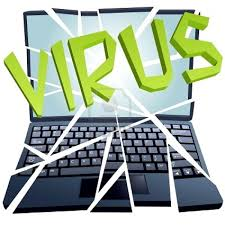 We can recommend and install virus removal software without having to pay annual fees. 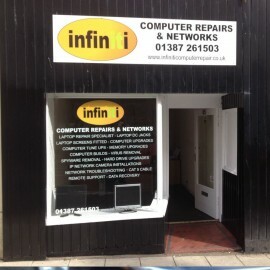 Infiniti Computer Repair can assist you with methods to prevent virus infection in the first place. Infiniti Computer Repair make sure all Microsoft Updates are current and we check possible security risks in software such as Adobe and Java. By ensuring everything is up to date we can help prevent any future virus problems.